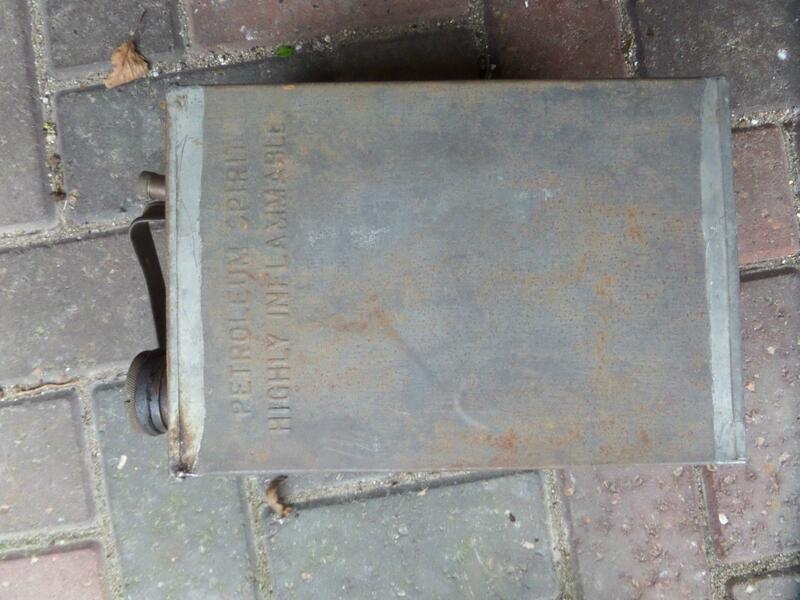 Mystery object, fuel can ? Any idea of date, nationality or use ? Any reason why the pictures are not expanding when I double click them? Zoomed up the screen, but not clear. Is this a normal size 2 gallon can and does it have separate cap and chamber within? 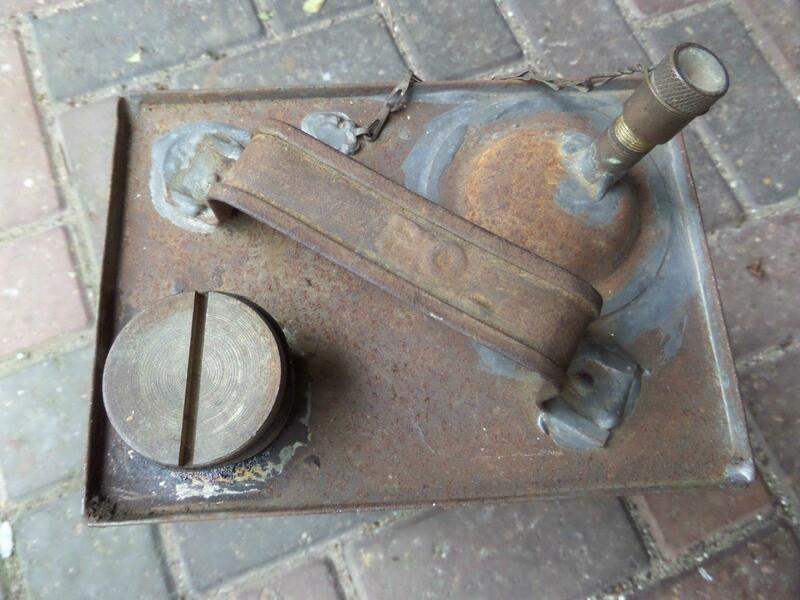 If so these were carried on cars in the pre-war times and were used for oil in one compartment and petrol in the other. Might be wrong but until picture is clearer, not sure. That better ? PO on handle ? is that Petrol & Oil ? Not quite what I was thinking of. I Should think it is all one chamber. Is the tube a pick up pipe, ie, goes down to bottom of can? PO could be Post Office although they usually marked there equipment GPO. "Highly Inflammable" implies British, the US used/uses "flammable". Petroleum Spirit suggests British. Out of intrest what is the material used to make the can? I've seen somthing similar on an old quarry barge, used in a gravel pit. It was attached to the drive unit that looked like an Seagull outboard on stroids. I picked one of these up a while back, and I've seen several on ebay listed as Post Office. They always seem to be painted pillarbox red. It's a very handy container with the pouring spout built-in. I don't think it's military though. Paraffin can for a cable-jointer's blowlamp? I believe the extra pipe is to pressurise the can so that the contents are pushed out of the normal spout connection possibly into another tank. Wasn't there another thread on the forum regarding these?